Was born in 1846, and is the eldest son of the late Professor Theophilus Redwood, of Boyerton, Glamorganshire. For the past thirty-five years he has devoted himself to the technology of petroleum, and is the author of a standard work, now in the second edition, besides many minor publications, on that subject. He is adviser on petroleum to the Admiralty, Home Office, Corporation of London, and Thames Conservancy. He received in 1905 the honour of Knighthood, and is a chevalier of the Order of Leopold. He is a keen yachtsman, and owner of the fine s.y. Euphrosyne, 227 tons, on board which he has cruised considerably. 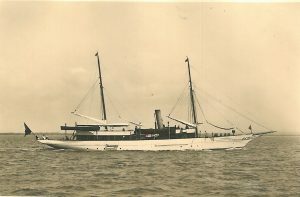 Clubs: Royal Thames, Motor Yacht (Vice-Commodore). Residence: Wadham Lodge, Wadham Gardens, N.W.